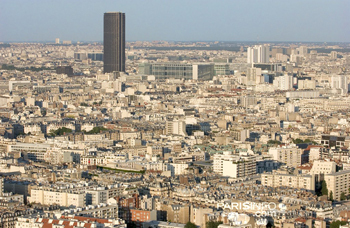 Are you planning to visit the Tour Montparnasse, Paris’s only skyscraper, with a height of 210 m ? Would you like to admire one of the finest views across Paris from its panoramic terrace ? If so, you can book your parking space right now from ParkingsdeParis.com ! The Gare Maine Montparnasse car park is located at the foot of the Tour Montparnasse and it proposes the cheapest rates of the district. Attention : fixed-price parking passes proposed by the Gare Maine Montparnasse car park specially for the visit of the Montparnasse Tower are exclusively sold on the ParkingsdeParis.com website. Enjoy fast ! The Tour Montparnasse car park is a cheap car park located a 2-minute walk away from the Tour Montparnasse. Book your parking space now on our website and benefit from reduced parking rates !